"Catherine" Yves St Laurent Tribute | ! *PurpleMoon Creations* ! Second Life’s leading couture designers pay homage to fashion legend Yves St Laurent in this dazzling finale to BOSL Fashion Week 2010. "Catherine" was part of this tribute this morning at this spectacular parisian inspired set. An unforgettable show were the wonderful Wicca Merlin walked the runway wearing this creation. 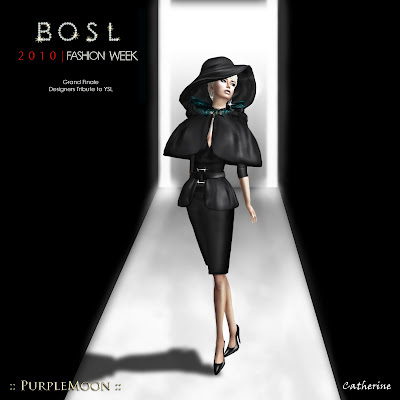 An amazing honor for me to be part of this fashion week among with the greatest designers and models in the grid.